Funzo Dunzo! We did it! 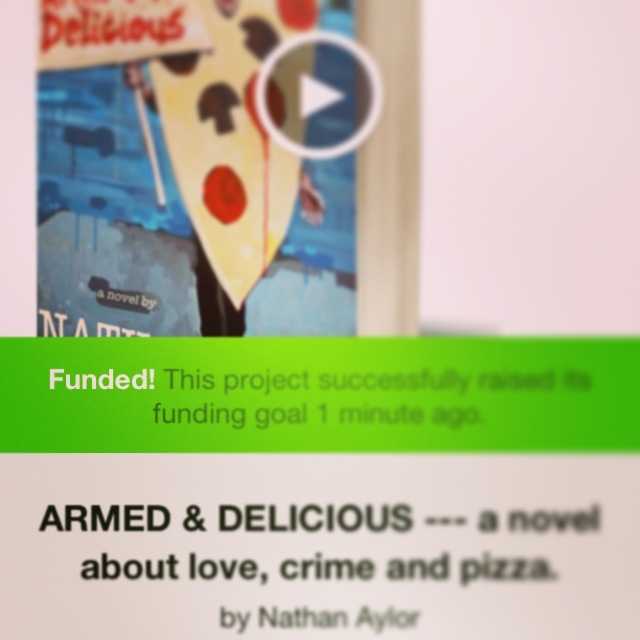 For those who have been following my Kickstarter.com campaign, you may have heard that Armed & Delicious has surpassed it’s funding goal. Well, it’s true! Armed & Delicious will soon become a physical book, available in Independent Bookstores as well as Online (in e-book format) and it’s all because of you. The campaign has been a very unique experience. I’ve laughed, I’ve cried, I’ve laugh-cried-laughed. But one thing I’ll certainly take away from this is that the generous and sincere nature of one’s friends, family and even perfect strangers can be absolutely staggering. I will be posting updates to keep you apprised as to the status of Armed & Delicious. In the meantime, I THANK YOU and can’t wait for you to read my little book.